Preparations are afoot to roll out legislations that will allow transit passengers to tour the country. On Monday, the UAE Cabinet gave the green light to prepare a general policy to grant entry visas to transit passengers who wish to visit the country's landmarks and tourist attractions. Passengers transiting via any of the airports in the country will be able to obtain entry visas. The new policy aims to enhance transit visa procedures to enable stopover passengers to enjoy a day out in the country, thus boosting the tourism industry. The Cabinet formed a working group, led by the Federal Authority for Identity and Citizenship, to prepare the new policy, "considering the possible positive effects it will have on the tourism sector and the economy in general". Over 70 per cent of the total passengers who passed through the UAE's airports in 2017 were transit passengers. The new policy will list visa fees, mechanisms for increasing the number of stopover visitors, as well as ways to promote the country's tourism attractions. Earlier last month, the Dubai Airports had unveiled a proposal that would allow transit passengers to leave the airport to experience the city. "In Dubai, transit time will become tourism as passengers are encouraged to leave the airport to experience the city," the Dubai Media Office had tweeted then. According to a video that the office tweeted, the 'Microcosm of Dubai' project proposed city-wide itineraries that guide passengers who are in transit in Dubai for more than four hours. Those in transit for under four hours will get a "virtual tour" of the city. Nearly 4.5 million passengers transit through the Dubai International Airport every month, reaching more than 50 million a year. Of these, an estimated 46 million do not visit the city. Most passengers remain in the concourse, shopping or having food and beverages. 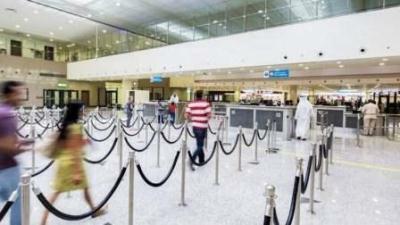 The average spend of a visitor at the airport reaches Dh9, whereas those who visit the city can spend up to Dh1,000. Nearly 14.9 million tourists visit Dubai annually and the figure is expected to hit 20 million by 2020. I think it's a great initiative as transit passengers will be able to visit some of the country's landmarks during their quick stops in the UAE. I would take relatives and friends to see the Burj Khalifa and to Dubai Frame when transiting, because these are some of the most-loved touristic attractions today." When transiting visitors get the chance to step outside of the airports and visit the country's landmarks, it will be a huge boost to the economy and the tourism industry. I think the top places I would take my friends would have to be the Burj Khalifa in Dubai and Emirates Palace in Abu Dhabi." The new transit visa policy is fantastic - travellers can go out and enjoy some of the UAE's most popular places before their flights are due, instead of having to spend a long period of time waiting at the airport. When friends of mine transit in Dubai, I would love to take them to the Burj Khalifa and The Dubai Mall."